In the year 2000, the new Bayview School opened in town, leaving the then 86 year-old Mahone Bay School redundant. A group of visionary citizens saw an exciting future for the empty, unwanted structure. In 2001 the Mahone Bay Centre Society was formed and took possession of the old school for the price of $1. The task of turning this sadly neglected 33,000 sq. ft. facility into a secure, comfortable, efficient and serviceable community centre has been monumental: as of 2018, involving over $800,000 of government grants and citizen donations plus many tens of thousands of hours of volunteer labour. Today, the Mahone Bay Centre is the “poster child” of how to rally a community to develop a vibrant community centre. 45 School Street is a modest example of the academy style “palace schools” which were built across the Maritimes during the late Victorian and early Edwardian period as sites for school consolidation and as symbols of civic pride. Although smaller than the brick or stone structures built in urban areas, the Mahone Bay Academy features the generous spaces and natural light which were considered to be requirements for the health and morale of the students in the late nineteenth and early twentieth centuries. The Town of Mahone Bay was praised in the local press in 1914 for the resourcefulness, high standards and community spirit that fostered the planning and funding of its new school. Having achieved the community’s financial commitment through the sale of debentures, the three elected school trustees (Charlie Lohnes, William Joudrey and Charlie Begin) arranged for the school’s design and construction by Boehner Bros. of West LaHave, Nova Scotia, a firm well-known for public buildings across the province. 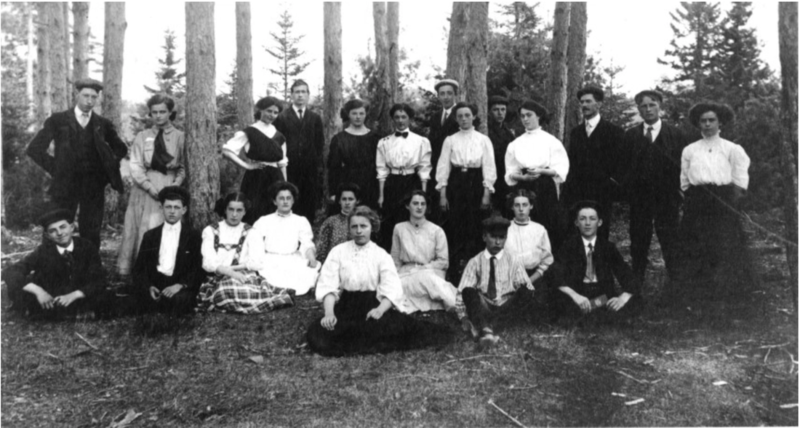 The Mahone Bay Academy was built with community pride and financial commitment in 1914. The building has continued to play a significant role in community life as a focus for community events and as an educational setting where many prominent Nova Scotians worked or studied. ​ The former Mahone Bay School was closed as a public school in 2000. The Town of Mahone Bay sold the school to the Mahone Bay Centre Society for $1.00 in 2001. Clara Quinlan was one of the most striking, interesting, and controversial personalities in the early days of the old school. 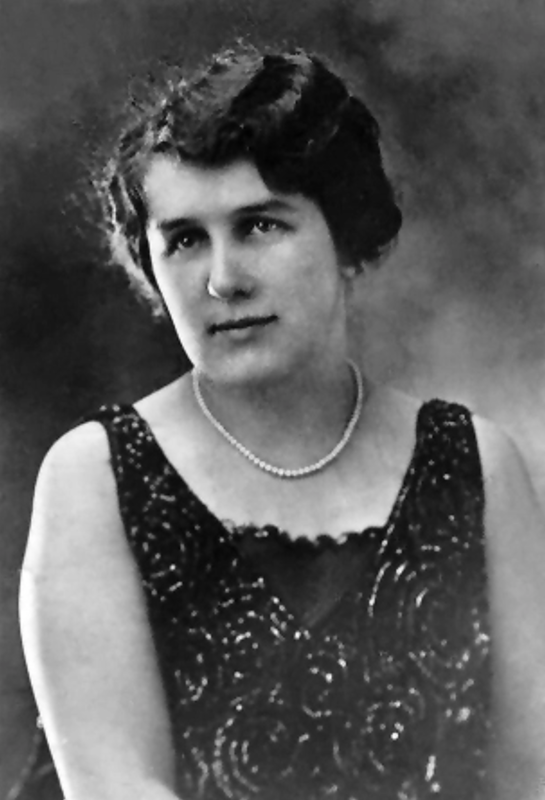 Born into a well-to-do Mahone Bay family (whose home was the current Suttles and Seawinds building), she was hired to teach in the Mahone Bay school in 1917. Following several disputes with the school board, including over school curriculum, she resigned in 1922, and taught elsewhere until 1950. She was highly respected by her students. Hope Hyson was eleven when the school opened in 1914, and after normal school came back to teach from 1924 to 1927. She remembered being strapped as a student, but as a teacher, she felt so bad about strapping Philip Lohnes that she never used the strap again, “ever!” Hope was Guest of Honour at the 2000 school reunion, and lived to 103 in 2006. 1924 May Day Celebration was a memorable occasion for Hope, when her class won first prize in the parade for its “Tom Thumb Wedding”. The dress-up costumes were quite imaginative, and spiffy, although most of the wedding party look like they are not so sure. 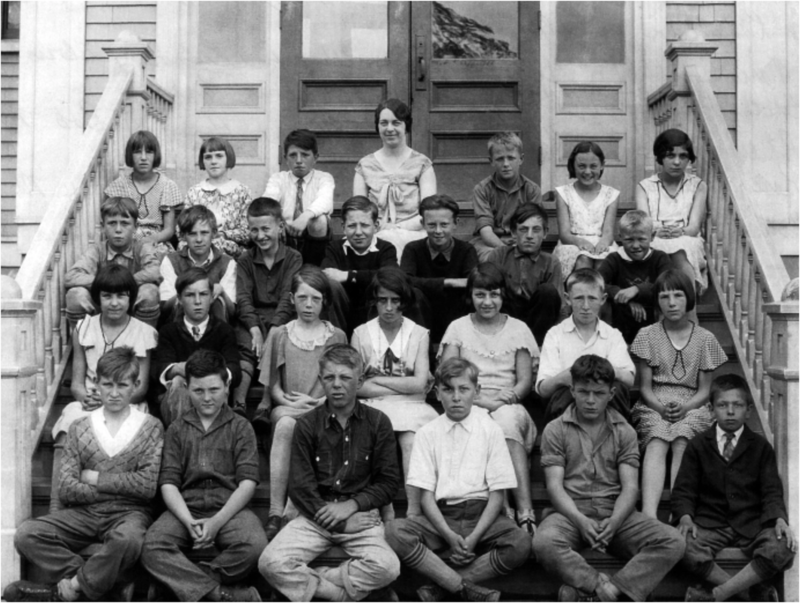 Hazel Schnare’s Grade Seven class in the late 1920s: It looks like having their picture taken was not a favourite pastime for these Grade Seven students. One stands out, however. Can you guess which girl went on to become one of the famous “Copa” girls at New York’s Copacabana Club? Try the back row, second from the right: Patricia Wentzell, with the vivacious grin. as well as the Mahone Bay Museum ​for more information about this beautiful building.